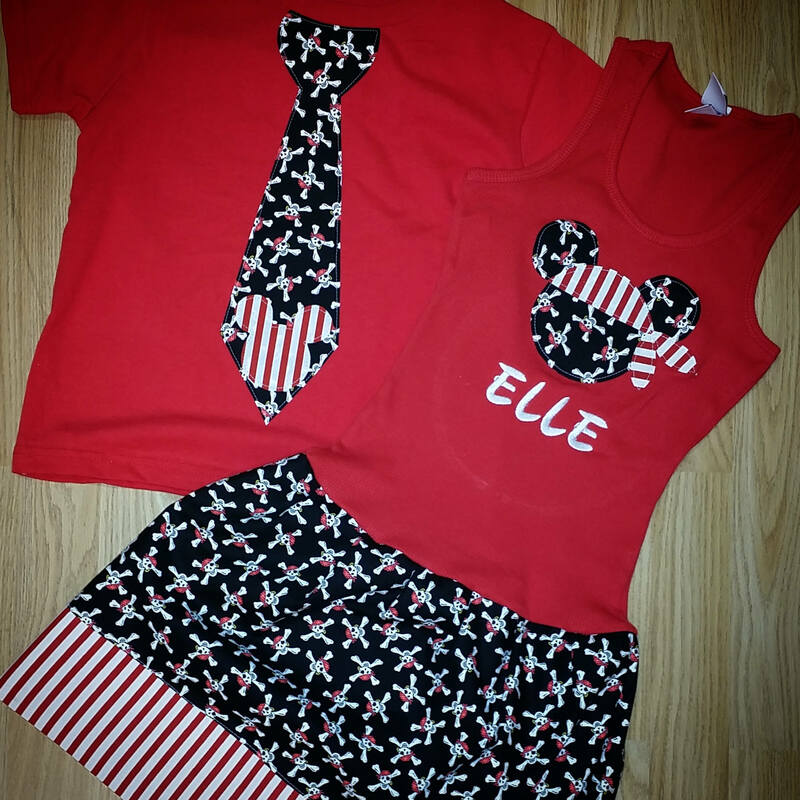 Pirate Minnie Mouse Dress. Pirate Mickey Mouse Shirt. Sibling set. Tank Style Dresses run very true to size. The tanks are ribbed so they will stretch or conform to the shape of your child. Girls dress includes head with bandana. childs name can be added at checkout.